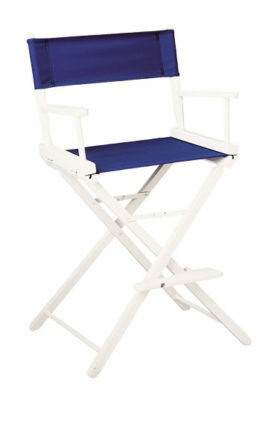 Create Your Design using Embroidery for the Counter Height directors chairs with a Natural frame finish. 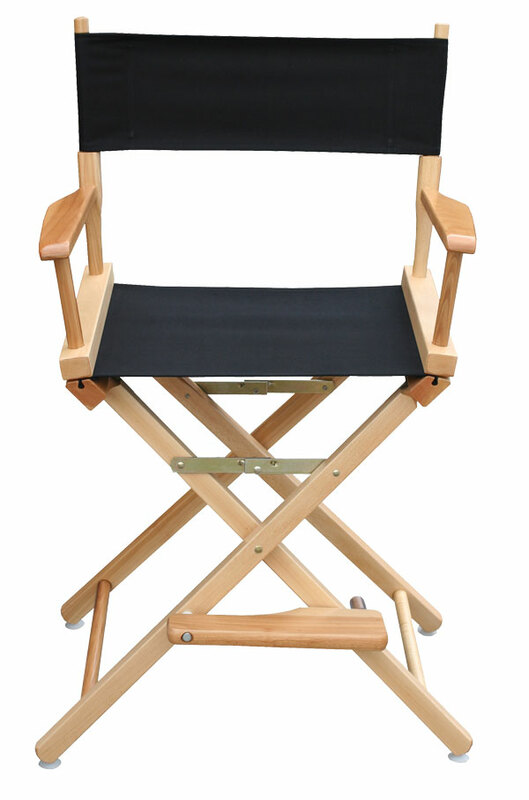 Choose from 3 different models while designing your chair by checking the appropriate box. View model comparison graphic below. 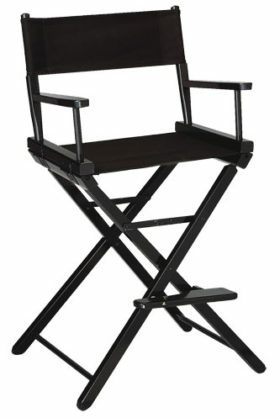 Contemporary Model – This model is the base model with squared off legs and armrests. All joints are glued and steel pinned. Good for casual use. 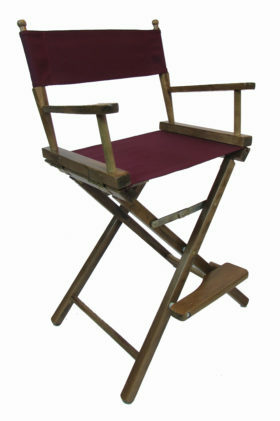 Commercial Model – This model is preferred by businesses for trade show use. It features added strength with thicker wood, larger dowels and the addition of 4 steel angle brackets on each of the leg/seat rail attachments. Also included in this model are nylon feet on the bottom of each leg and armrests that are rounded over in the front for comfort. Classic Model – This model differs in the enhanced styling of the legs and armrests. Armrests are fully rounded for total comfort. Legs are rounded over on all 4 edges and taper at two places below the foot rest to give a classic look. It is a little heavier as there is more wood in this model. We stock and ship from our warehouse and usually can complete personalization in 1-2 business days, so you can be assured of quick delivery. This chair is made in the USA from locally managed Appalachian beech hardwoods. All joints are hand fitted and glued with steel underpinning to insure tight and long lasting rigidity. 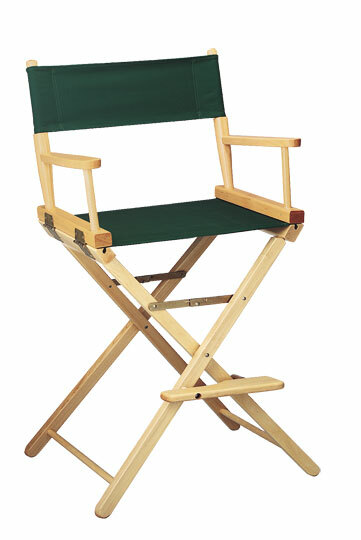 Strong joints are the most important factor in long lived director’s chairs. Seat and Back fabric is heavy duty 14 oz. cotton canvas which is washable and colorfast. Finally, this chair has a 3 year limited warranty against manufacturing defects. Available in three different models, four wood finishes and multiple canvas colors.